Kumihimo braiding is big news in the beading world. 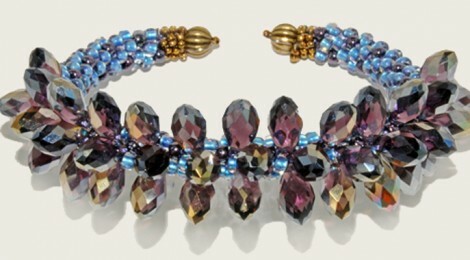 Learn how to do this addictive technique with the Bead Doctor’s brand new braided bracelet tutorial. Ring by Ring Designs: What is Kumihimo? 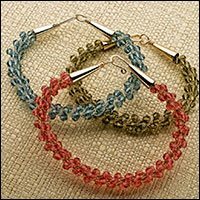 8-Cord Kumihimo Spiral Bracelet Instructions. 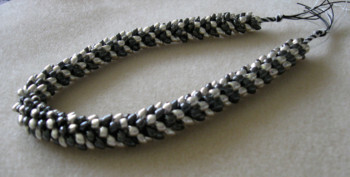 I love the simplicity of the design of my latest kumihimo braided bracelet using size 8 Japanese seed beads. The spiral pattern is pleasing to the eye and the materials cost is low! In this segment, Gloria A. shows us how to make a spiral kumihimo braid using 12 strands of cording. When you are doing the standard 8-cord round braid on the KumiLoom, if you put it down, it’s easy to determine the proper cord to resume when you start again.